Your guide will meet you in your hotel lobby, before setting out on a four-hour culinary tour of Kiev. 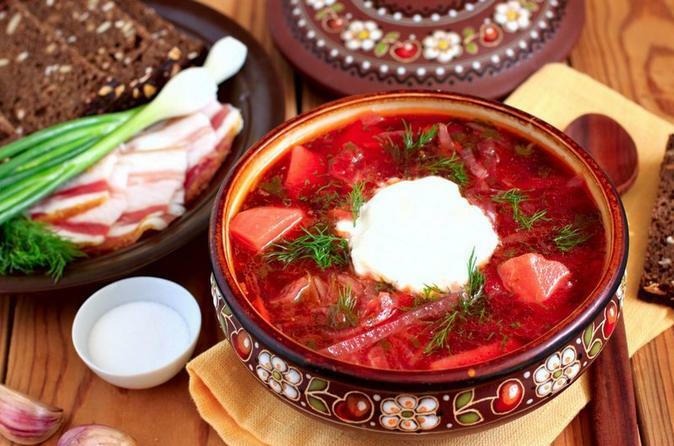 You’ll stop at four separate traditional restaurants to sample Ukrainian favorites such as borsch (beetroot soup), vareniki (dumplings), and a homemade liquor. You set the pace, as your private guide explains the local food culture. After a visit to the famous Indoor Bessarabskyi Market, your comprehensive tour concludes with a special dessert.